U.S. stocks turned lower Tuesday afternoon, as investors tuned into the political turmoil in Egypt and took a cautious approach ahead of Friday's jobs report. 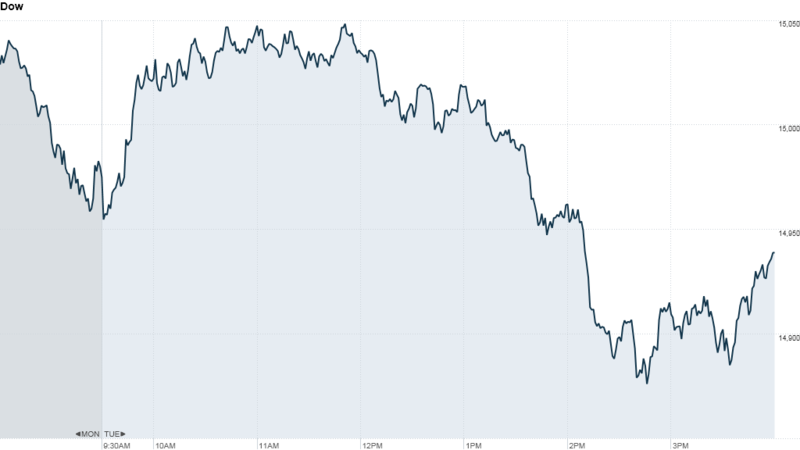 The Dow Jones industrial average fell 43 points, or 0.3%. The S&P 500 and the Nasdaq ended little changed. All three indexes were higher earlier in the day thanks to a report showing factory orders rose 2.1% in May. That was slightly better than expected and signals ongoing improvement in the manufacturing sector. But the gains faded as investors turned their attention to thousands of protestors in Cairo's Tahrir Square calling for the resignation of Egyptian President Mohammed Morsy. Investors were also wary of placing big bets ahead of the government's June jobs report. Economists surveyed by CNNMoney predict the U.S. economy added 155,000 jobs and the unemployment rate fell to 7.5% last month. Economic data has been front and center recently as investors try to gauge when the Federal Reserve may start pulling back on its bond purchases. Last month, Fed chairman Ben Bernanke announced that as long as the economic recovery continues in line with the central bank's outlook, the Fed could begin tapering later this year. That sparked widespread volatility, sending bond yields higher and stocks on a wild ride. All three indexes are only marginally lower since Bernanke's June 19 speech but they remain down 2% to 3% from May 22, when the Fed chairman first hinted at tapering. The holiday-shortened week could also lead to some choppy trading. U.S. markets close at 1 p.m. ET Wednesday and are closed Thursday for Independence Day. 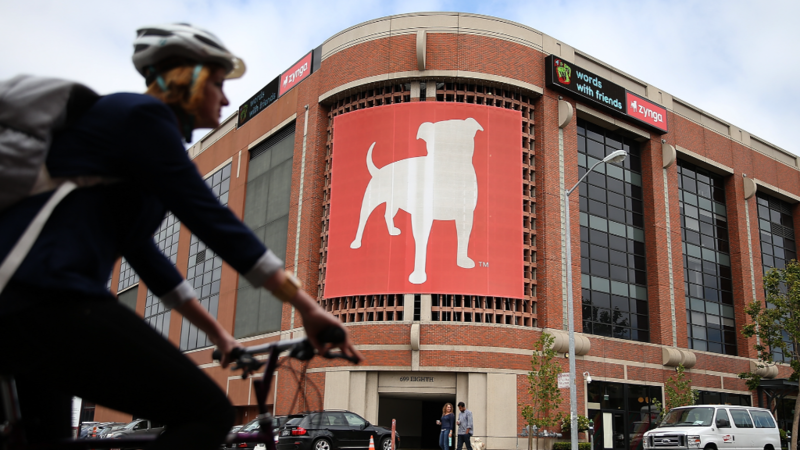 What's moving: Zynga (ZNGA) shares rose more than 6% after the online gaming company announced that CEO Mark Pincus is stepping down. Don Mattrick, the former head of Microsoft's (MSFT) Xbox and gaming division, was named as Zynga's new chief. Nielsen Holdings (NLSN) shares edged higher following news that the company will join the S&P 500 next week, replacing Sprint Nextel (S). Disney (DIS) extended chairman and CEO Bob Iger's tenure through June 2016. Iger had previously been scheduled to leave his post in April 2015. Apple (AAPL) shares were also on the rise, up more than 2%.